Home Supplements Is Protein Powder Bad For You? What Are The Risks? Is Protein Powder Bad For You? What Are The Risks? If you’re looking to build muscle mass, then there’s a good chance that you’ve probably looked into using protein powders. While using these kinds of supplements, should you be concerned with your health? Many people like you and I are attempting to build muscle mass. In the process, we can’t help to notice the variety of supplements available on the market. If you watch any sports, or any men’s TV stations, there’s almost a 100% chance that you have seen an advertisement for a muscle building supplement. The most commonly used muscle building supplement would have to be protein powders. In second place, you may see people using creatine. From there, the list goes on. Today, I want to go ahead and take some time to focus on protein powders, and whether or not they’re bad for your health. I decided that I really wanted to focus on this subject because it is really what people look into purchasing, if they’re trying to build mass. Chances are, you probably have some protein powder sitting somewhere in your house. If you do not, you have likely tried using protein powder to put on mass. Before ever taking any supplements, you should always do the proper research, because most of the time, these supplements are not approved by the FDA. Let’s go ahead and take a look at how protein powder can be bad for you in this article. After detailed explanation from a friend of mine who is a personal trainer, and after vigorous amounts of research, I have learned that protein powder can be bad for you. Like anything else, this is only when you abuse the system. 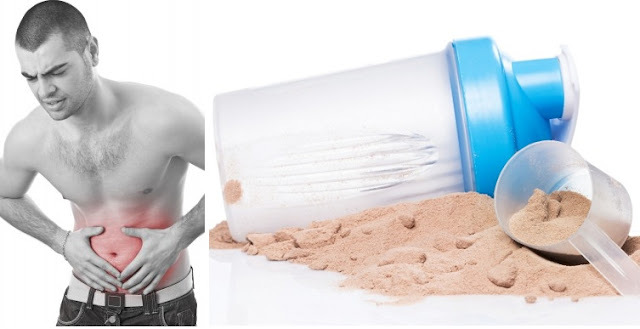 If you take too much protein powder, then you’re likely going to run into some problems. If you take the correct amount of protein powder, then you’re likely going to be okay. The following list is a list of side effects that you can run into by taking in too much protein. By the way, these side effects can also occur by taking in too much protein from natural food sources, not just protein powders. 1. Kidney Stones: Although I never experienced kidney stones while supplementing with protein, I did experience kidney pain. Although I don’t believe it has been proved that protein can directly lead to kidney stones, there definitely seems to be a connection. 2. Acidic Blood: Having acidic blood can actually lead to osteoporosis. When you intake too much protein, you may develop acidic blood levels. I first read about this side effect on a site called Project Swole. 3. Liver Problems: Too much protein can actually be harmful to your liver. Who knew? I read about this side effect on a site called Your Doctor. In the end, it’s important that you avoid taking in too much of anything. According to most online sources, you shouldn’t take more than 2.5 grams of protein per kilogram of your own body weight, per day. If you’re looking to experiment with protein supplements, you should know that these supplements will not make you muscular on their own. I have heard that good muscle building supplements can boost your results by 10%. That is only if you’re dieting and working out correctly.